Strawberry and Black Pepper Body Scrub* - RRP R120. Hey Gorgeous is a South African brand that focuses on making handmade skincare and beauty products from high quality natural ingredients - freshly whipped up to order so that you get just the best! I've been lusting over their drool-inspiring products for ages and have finally gotten two scrubs through a blog competition (thanks Leana!). 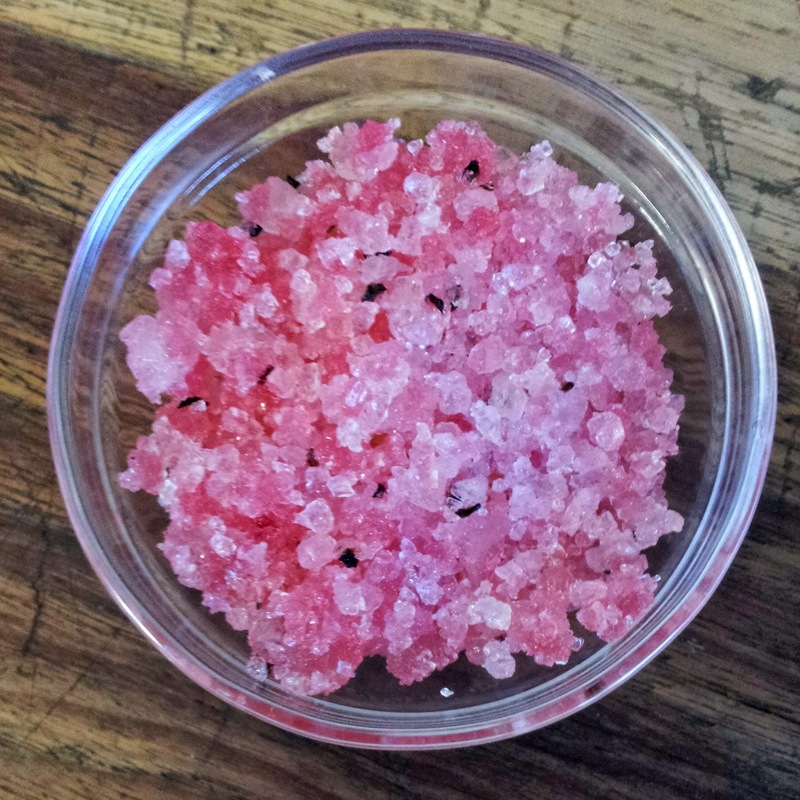 The base of the scrub is khoisan salt, with black pepper, essential oils and several moisturizing oils (grape seed, jojoba, macadamia nut and avocado oils). It does a great job of exfoliating your skin without being too harsh. 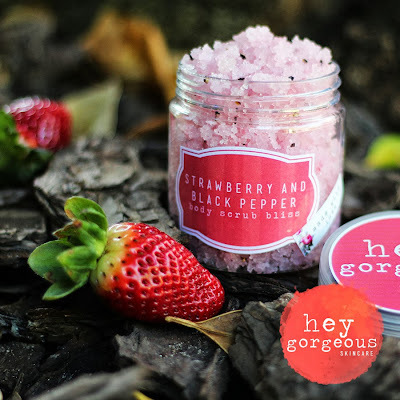 All those oils help your skin feel soft and moisturized and - best of all - the smell of strawberries is unbelievable! Yiipppeee! I'm happy you like it and good luck with the exams coming up.